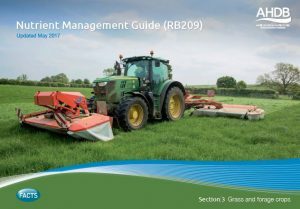 Visitors to Grassland & Muck 2017 will be the first to get access to the AHDB Nutrient Management Guide (RB209). The publication that is being launched at the event will be available at the AHDB stand (323). 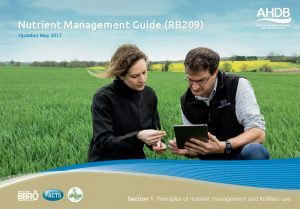 A £98,000 project to review the current Fertiliser Manual RB209 was overseen by the AHDB-led UK Partnership for Crop Nutrient Management and delivered by an ADAS-led consortium of experts from across the UK research community. It was supported by £200,000-worth of in-kind funding by industry. The 2016 review, which took account of the latest research developments since 2009, was split into six distinct themed work packages: principles of crop nutrient management; organic materials; grass and forage; cereals and oilseeds; potatoes and horticulture. 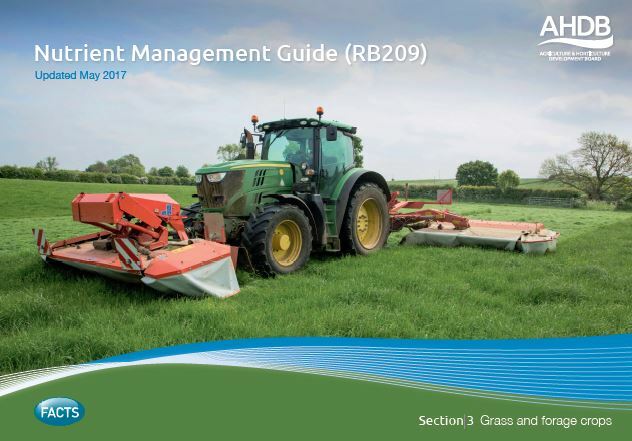 Paul Westaway, who chairs the livestock technical working group, said: “We are particular proud of the changes to the nitrogen recommendations for grass as we have made them simpler to use and focused on what yield farmers need to produce to maximise home grown grass and forage in diets.